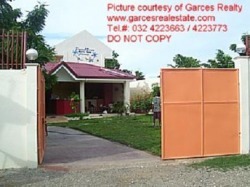 Description: Fully furnished two storey yellow house situated inside the high end subdivision of Lapulapu City. Preferred by foreigners because of its SAFE neighborhood. •Overlooking a cool scenery of nipa houses of a high end spa. •The house is near school, churches, mall. mactan golf course. For more pictures and further inquiry about the listing in this site contact your website host.. Description: A residential condo just within the busy area of Cebu uptown, just 2 minutes drive to Cebu Business pArk, malls, restaurants, banks, sports club and hotels. The monthly rate is exclusive of the water and electricity. Separate meter is provided for each suite. 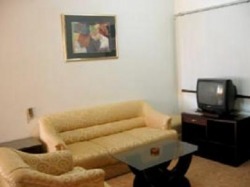 Terms: Accepts daily rental at Php 1,500.00 inclusions of breakfast.